No pics, not even for a decent writeup. These people are so tiresomely wary of Copyright. Top Hat was a last minute decision. 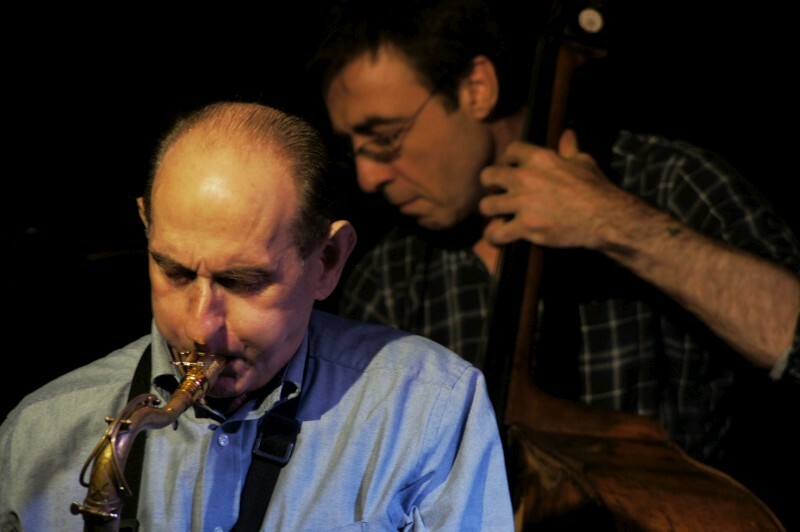 Kenny Wheeler cancelled at short notice at Pizza Express; he’s not a young man now and was taken ill. I took Megan and Mum the Aldwych Theatre to see a musical and realised this was the Fred Astaire / Ginger Rogers movie with music by Irving Berlin. So I decided I should attend just one musical in London and glad I did. My seats were last minute and in the Grand Circle which is so high it even has its own entrance. But the view was perfectly good, and maybe even better for the dance numbers, where you can view the whole ensemble with ease, like watching footie on TV. From the luxurious overture with snippets of a string of great songs and the first ensemble tap dance number I was entranced. London musicals are seriously well done and this is from the American songbook era of great tunes and real skills. Admittedly the story was flimsy but it was amusing (“1935 screwball comedy musical” / Wikipedia), as the female love interest (Dale Tremont) mistakes her male lover (Jerry Travers) for the wife of a friend. 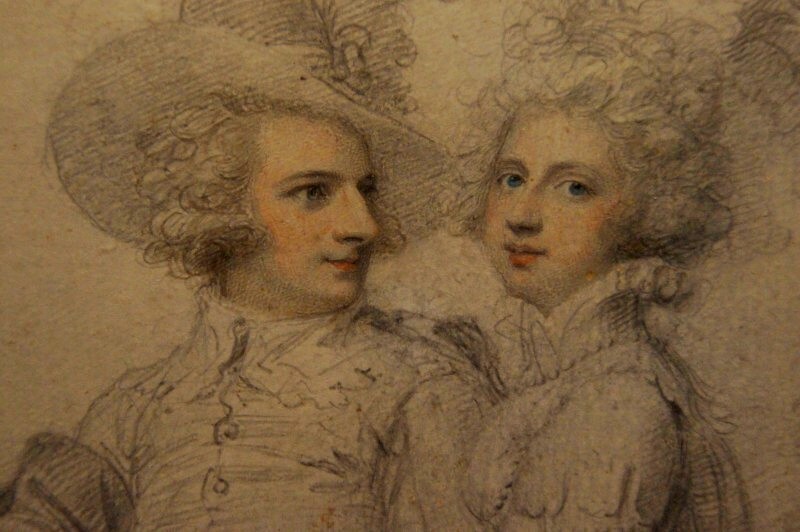 There were occasional clever quips (“Is there no beginning to your brilliance?” or the lesser “A man is incomplete until he’s married … then he’s finished”) and lots of others. There are English caricatures in Belgravia, and Italian caricatures when the action moves too Venice. There’s a standard range of corny and presentable characters: the spendthrift wife who ridicules her husband; the hot blooded Italian couturier who almost marries Dale; the harried rich husband; the not-really-obsequious man-servant. There’s a plot twist at the end to resolve it all. But mostly there was that fabulous tap (once some soft-shoe) and strong musical theatre singing over those great tunes. Gavin Lee (Jerry Travers / Fred Astaire) was great all round, strong even voice, impressive dancing, convincing character and stamina. Kristen Beth Williams (Dale Tremont / Ginger Rogers) was great too, if a bit less even in voice. But I can only admire her performance. As she says in the text and I’ve always thought about women I musical theatre, “I danced everything you did, but backwards in heels”. The other main characters weren’t dance / song stars, but did their jobs well, as did the strong chorus. As I luxuriated in the final chorus, I realised just how well intoned was the whoel chorus while they were dancing. These guys have truly impressive chops. Clive Hayward (Horace Hardwick), Vivien Parry (Madge Hardwick), Russell-Leighton Dixon (Alberto Beddini), and Stephen Boswell (Bates). Irving Berlin / Fred Astaire / Ginger Rogers and performed on the London stage. It’s a period piece, but really quite fabulous. Somewhat like a lot of jazz, actually. It was a lovely day and everyone was talking of the Bank holiday. It’s a English reference with an interesting history. It’s in the height of summer, and this summer feels hot (for London). 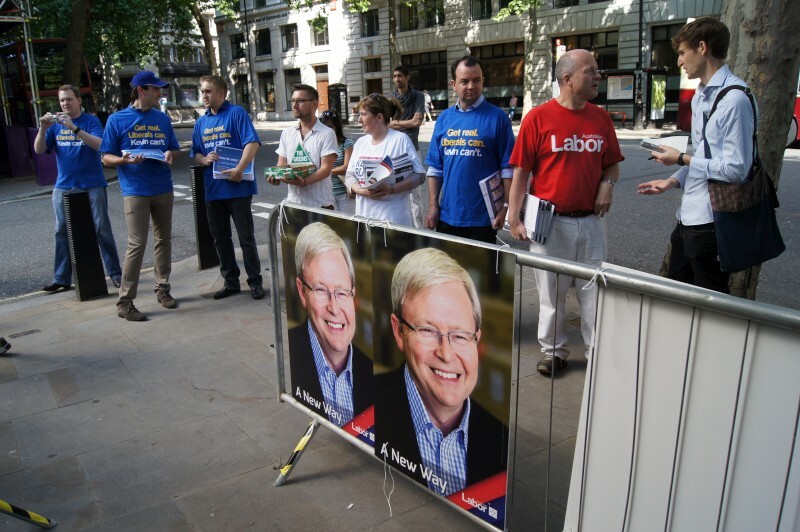 I was out to vote for the Federal election (the longest queue I’ve experienced to vote) at Australia House, then work my way to St Martin in the Fields for one concert. I ended up seeing three. 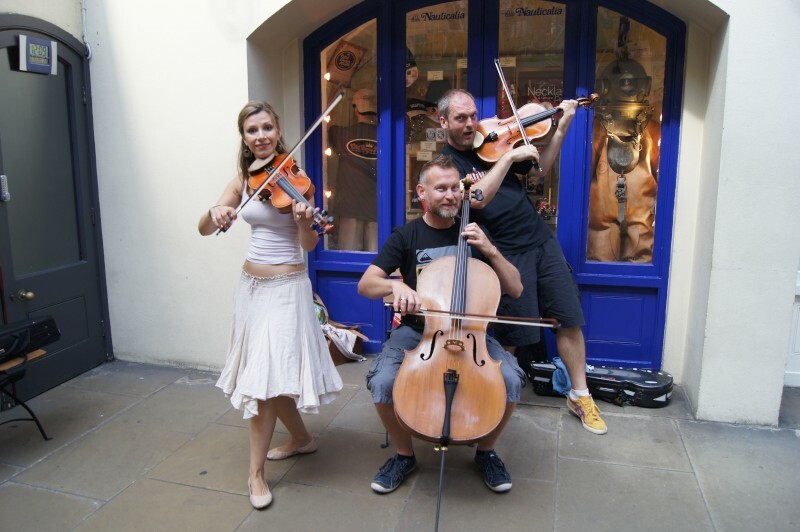 First was the Abraxas Ensemble, which I stumbled on playing a half hour set in Covent Garden. There’s a busking band here 364 days every year (not Christmas Day). I happened on Abraxas playing Mozart, Ravel, Dvorak and the like. 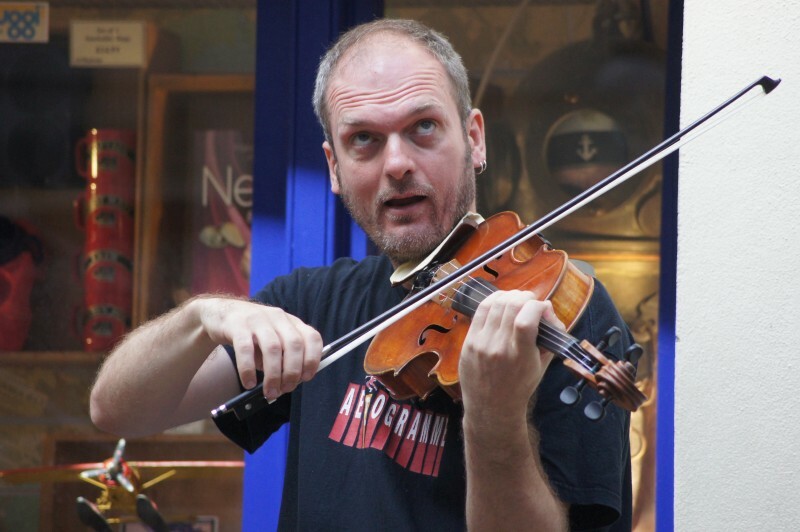 All popular classics played with humour and audience interaction. Very well played. 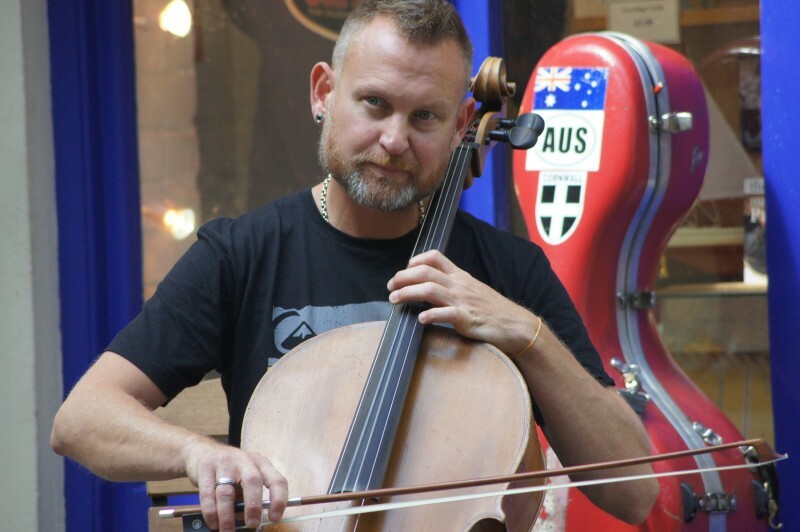 Phillip Kelynack (cello) was from Melbourne, Christian Halstead (viola), Teodora (violin) was sitting in and Mandy (Amanda) Drummond (violin). BTW, they are available in all manner of formats for weddings, parties and anything (we all are, but Abraxas are in London). 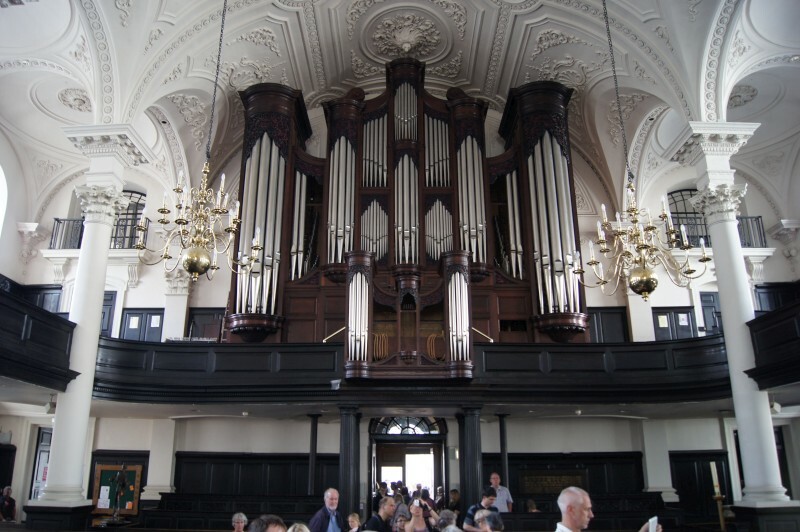 The main game was a lunchtime flute concert at St Martin in the Fields. 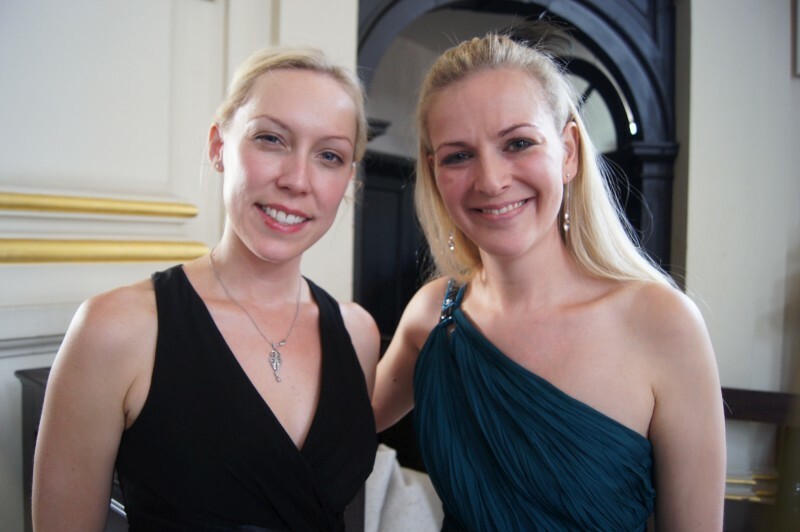 Abigail Burrows (flute) was accompanied by Anne Marshall (piano). Abigail’s new husband of 15 days, Gareth McLearnon (flute), sat in for the Carmen fantasy. He’d arranged this and another tune. They played Debussy, Gaubert, Reinecke Sonata in E minor ‘Udine’ and Bizet. Anne played Mozart Twelve variations on “Ah, vous dirai-je Madam” which is thee theme of Twinkle twinkle little star, Baa baa black sheep and more. Interesting and surprisingly modern. I found the playing excellent, fluent piano and nicely toned flute. Most impressed. 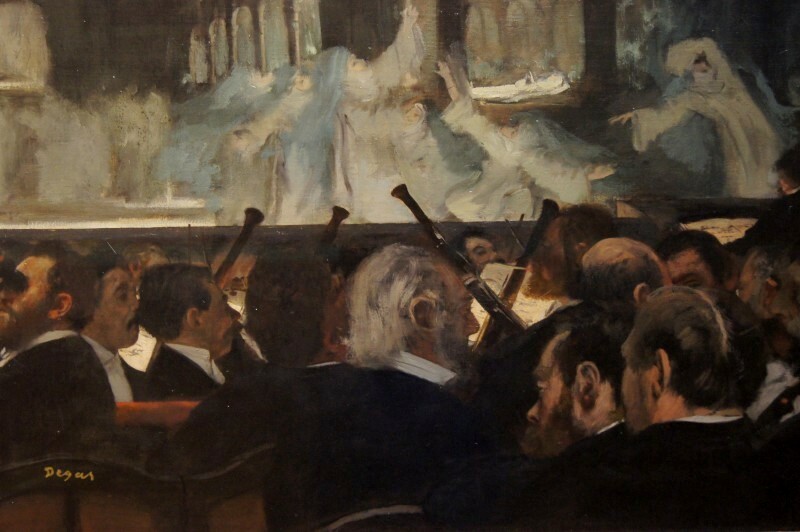 I have found great musicians around the world, but there must be something special in places of congregation. Certainly, Abraxas and the Burrows / Marshall concerts impressed me immensely. It’s lucky to have this quality on your doorstep. I stumbled on another performance making my way back to the Tube. This is an amateur concert band and not as impressive as the professionals I’d just seen, but a pleasant family outing. 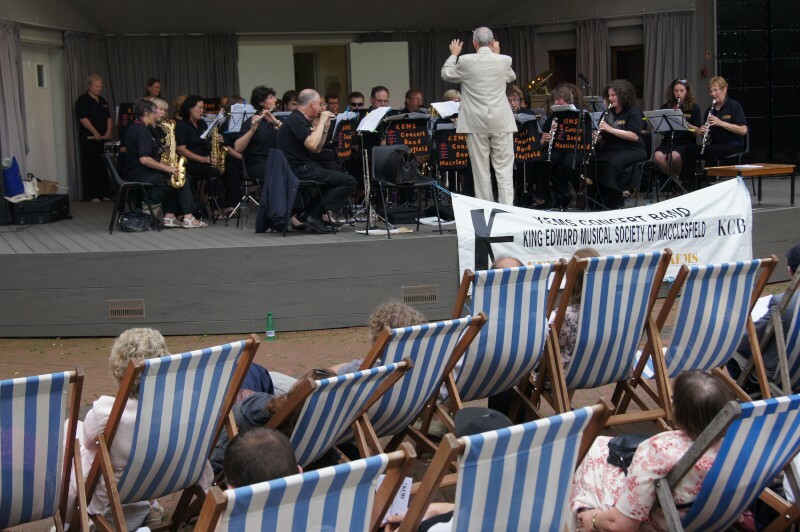 This was the KEMS (King Edward Musical Society) Concert Band from Macclesfield. This was the fourth and last concert of their Belgian tour. My favourite was a suite of songs from South Pacific, although other favourites included James Bond, Pirates of the Caribbean and the March of the Belgian Paratroopers. 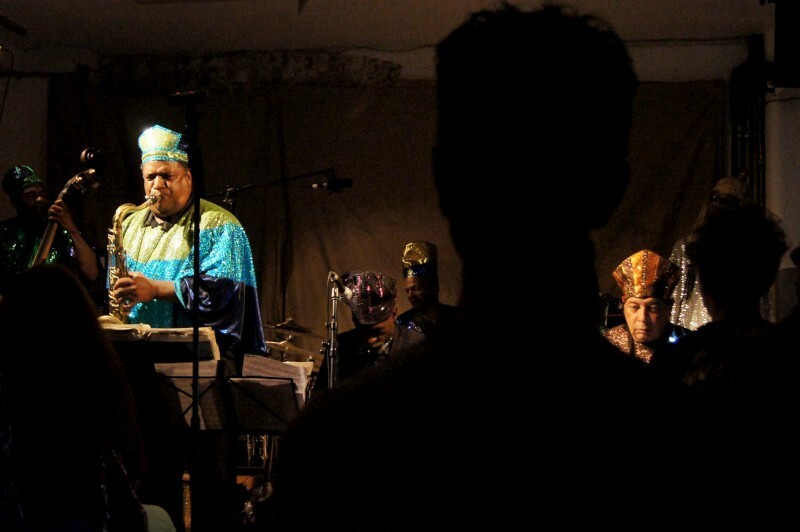 Arkestra at Café Oto, London. Day 3 of a five night stand in an intimate, earthy venue. It was sold out with a good natured crown in a decent queue when I arrived. 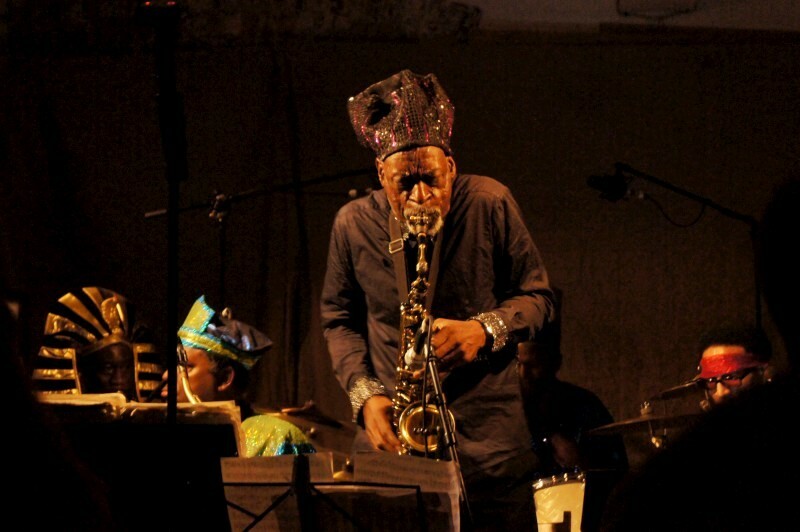 Someone said he’d seen the Arkestra before at the Barbican. Cafe Oto is nothing like that. It’s folding garden seats up front, standing audience behind; no raised stage; a small PA; some lights; a Yamaha grand and a bar. Grungy and intimate. A drone of analog synth grew for 30 minutes before the band walked on, all glitter and costumes. 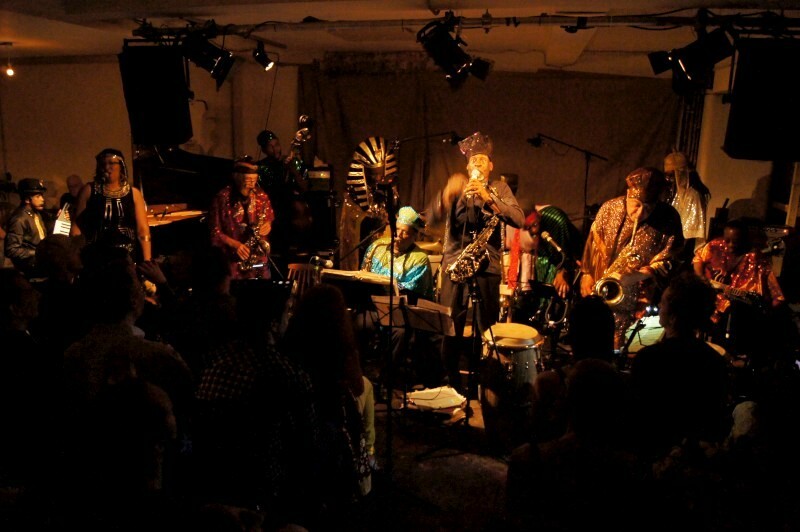 The Arkestra is a big format: 2xalto, tenor, baritone, trombone, trumpet, piano, guitar, bass, cello, drums, percussion. 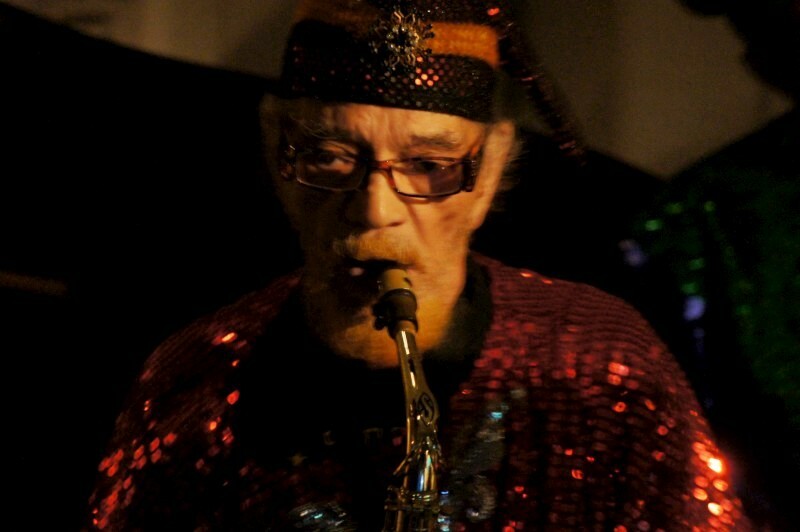 Long time band member, Marshall Allen, is now leading, conducting, arranging after the loss of Sun Ra. 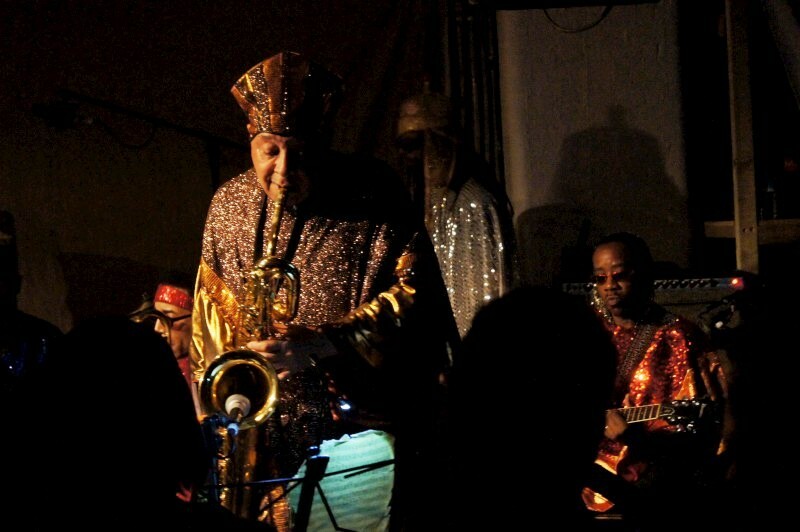 I saw them in the early ‘80s in Rome, led by Sun Ra, and it’s the same effect but I appreciate it better now. This was as good as it comes. Alive, intense rhythms, the complexity of harmonised horns, simple or pretty melody visited by abstruse dissonance, lots of singing and chanting, the richness from multiple overlaid parts, even dancing, always joy. This is interplanetary music. The chants were from Saturn. 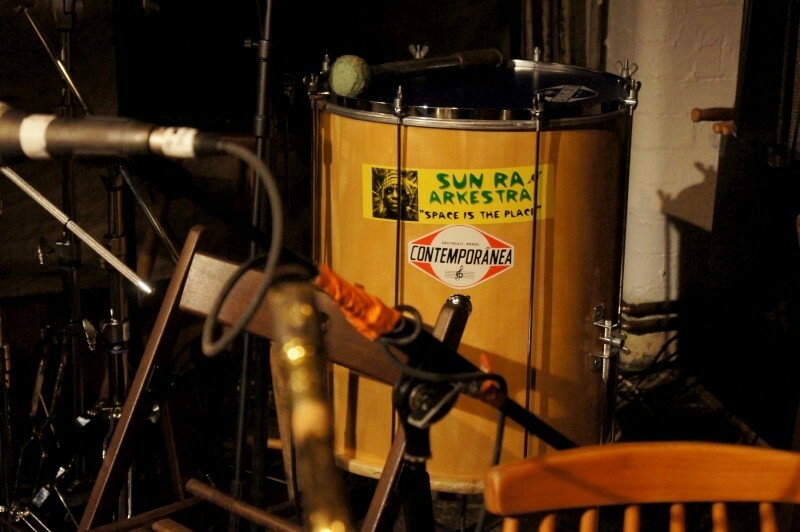 I still have in my mind the simple theme of Sun Ra’s classic Sunrise in outer space. This world … not my home. We’re going to Saturn. Joy in simple beauty. They sang When you wish upon a star. Then dissolutions, effected vocals, cello solos. All against steady drums and a patina of percussion and chunky guitar and piano and bass and percussive cello. Even dancing. Then they leave, horn players shimmying down the aisle leaving the rhythm section to finish. That was set 1. The agony was the tube times and my lack of alternatives. I missed set 2 but I left enlightened, joyous and ready for a world outside. 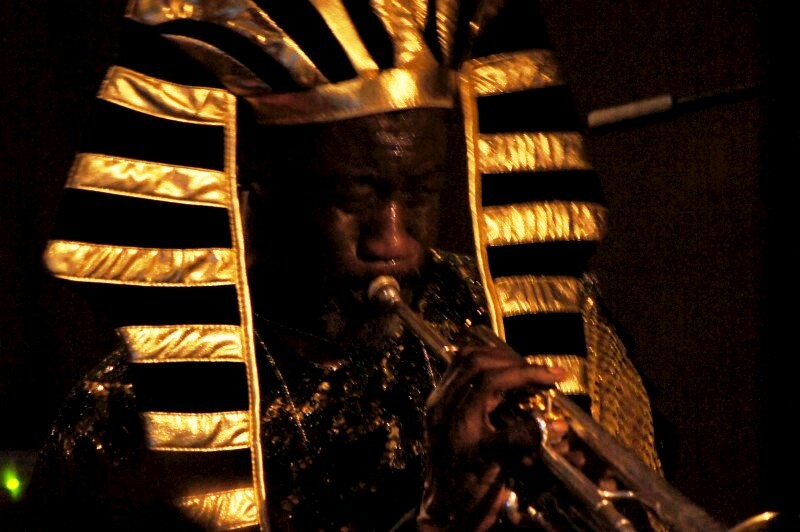 It was a loving experience, this interplanetary music, and yet tethered to the real world. Strange that you can often see the inside better from the outside. I can only confirm that the view from Saturn is a blast. The best. The line-up was advertised as this but there were more and maybe different players: female singer, cellist, guitarist. 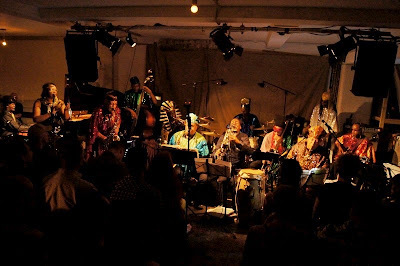 Marshall Allen (director, alto sax, flute), Fred Adams (trumpet), Knoel Scott (vocal, saxes), Charles Davis (tenor sax), Danny Ray Thompson (baritone sax), Dave Davis (trombone), Farid Barron (piano), Elson Nascimento (perc, surdo), Tyler Mitchell (bass), Craig Haynes (drums). Why do jazz clubs have numbers? 505, 606, 55? I doubt it’s always the street number, but I could be wrong. I got to one here in London the other night. This was 606. It’s a pleasant space with pleasant staff. Café tables, dinners, strangely no drinks unless you eat. It’s the local licensing and it seems somewhat dated, especially for a major international city. I drank ginger beer with a Victorian herb-brewer’s label and a supremely sharp ginger bite on the tongue. This scene is warm and chatty and relatively well dressed and it pays the musos by bringing in visitors to the jazz scene, but it can be disappointing to the die-hards and to some degree to the musos. (For die-hards, dinner / jazz clubs are best during the week when they seem to present more adventurous fare; I guess the weekends pay the bills). I thought that was the case last night. The band was capable, no doubt about that. I liked the bass take on solos mixing high thumb position phrasings and diminished intervals with open strings. I particularly enjoyed the pianist and his attentive ears as he comped against the tenor solos. 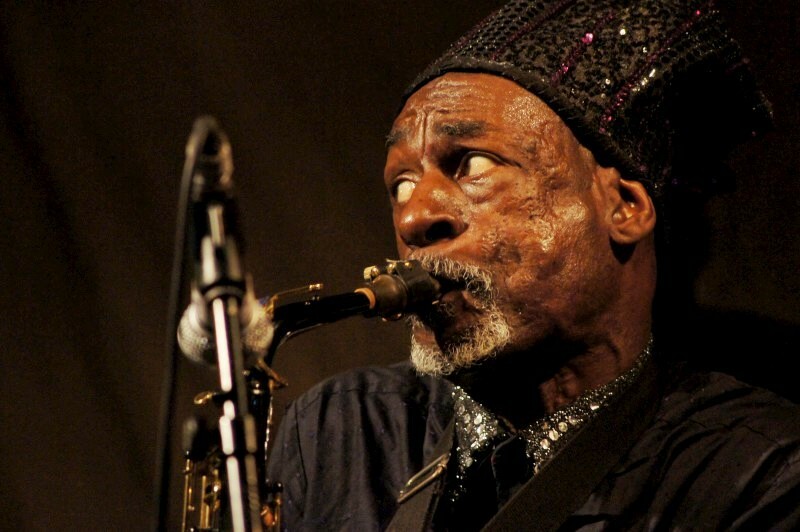 These were very good ears and he had a welcoming good-humour that was musically infectious. The drums were strangely open with sweeps and feints and fewer hits than you’d expect. This was a trio backing Bobby Wellins. 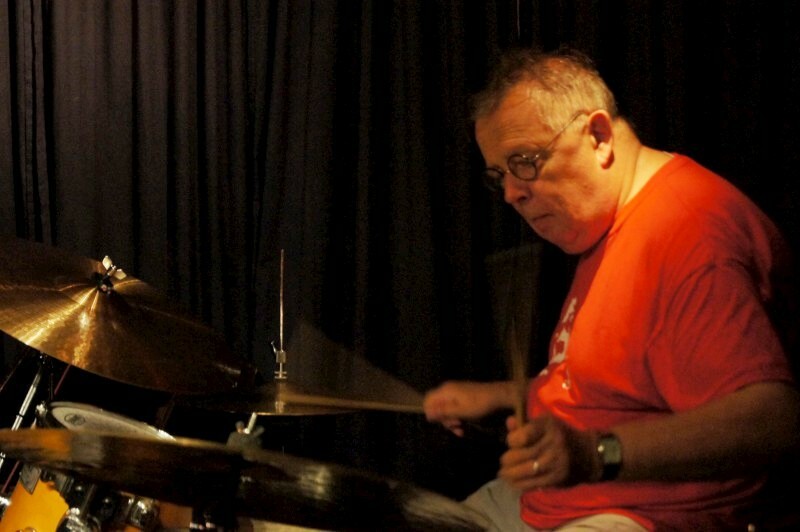 He was introduced as a Glaswegian and a veteran of the English jazz scene. He’d released one of the biggest selling English jazz albums in the ‘60s and played later with the Charlie Watts Big Band. I liked his more mellow tone, his sense of melody and his undemonstrative flourishes and dissonances. I only stayed for the first set (which started later than I’d expected after a long wait fretting over the London Tube that doesn’t run all night). Certainly there were some sparks, an unexpectedly involving drum solo (well received, as drum solos seem to be amongst irregular audiences) and some beautifully simple and well constructed solos from the pianist. But the whole felt tired, tame, somewhat disconnected. Don’t get me wrong. These are decent players. They are a little mainstream for my tastes (mostly swing and walks like I play) but I could hear skills and taste that was attractive. But, at least for me it didn’t gel on the night. Too bad; another time. 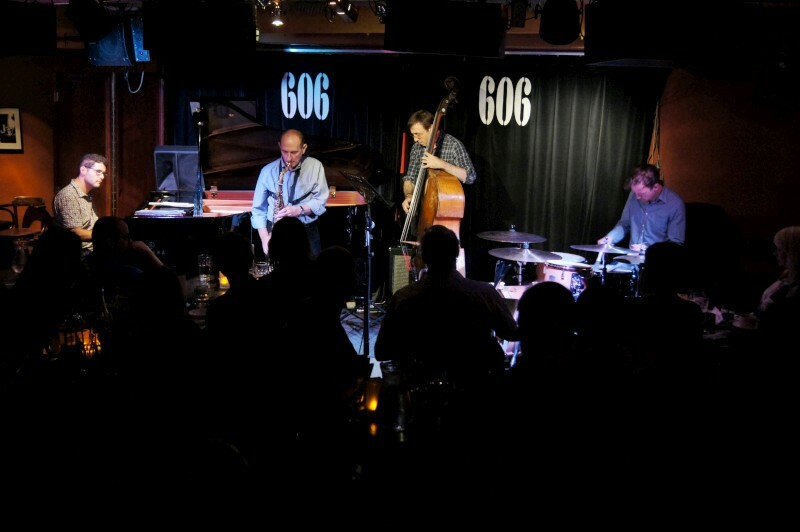 Bobby Wellins (sax) led a quartet with Barry Green (piano), Mick Hutton (bass) and Simon Lee (drums) at the 606 jazz club in London. The Verdict is near Jury’s Out. They are both near the Law Courts in Brighton. 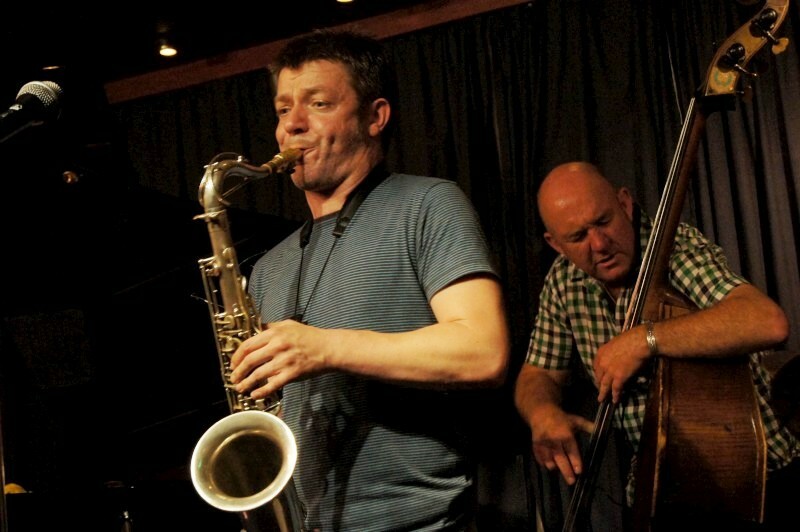 We were at the Verdict to see jazz: Ian Price, John Donaldson, Nigel Thomas and Spike Wells. Verdict is a jazz club of two levels with a small performance basement. Jury’s Out is a nearby pub. The weather is warm. It’s a bank holiday weekend in the height of summer on the warmest day of the year. It’s fairly hot and steamy, and a pleasure for the English. It was hot and steamy in the basement, too. The first notes were rubato as in Coltrane and Love supreme. The bass was punctuated, the drums were a patina with indistiguishable rhythm over occasional piano chords. The tenor was muscular, hard edged, laying in a passionate few notes then dissolving into dissonant streams in response. A few minutes of this, then I recognised Alone together as hard-core post-bop. Embellished melody, syncopated rhythms and bass just hinting at a walk. I’d been explaining to Wendy and Andy, Megan’s family and our hosts, some of the history and approach of jazz and we’d listened to a recording that morning that was a modern take on the 1930s and truer to the American Songbook. This was twenty years later, late ‘50s. Just as respectful but definitely taking more liberties. The tunes are lengthened (9 tunes in two long sets), the tempos are more frenzied and the melodies are more implied, the solos are loosened from the obvious chord tones. But the tunes are still evident. Alone together is an old favourite so it was a pleasure to hear it as the first tune. Then Monk’s Nutty, My one and only love as the ballad of the set and an obvious blues I can’t name. Then a second set with the same rubato start, Well you needn’t leading into Caravan. Interestingly the audience got a choice of key for Weaver of dreams (we took Eb rather than C). Then a burner, It’s you or no-one, and Billy Stayhorn’s Raincheck to finish up. Typically for jazz, this was a small room and a small audience and the concentration was on the music and not the patter. 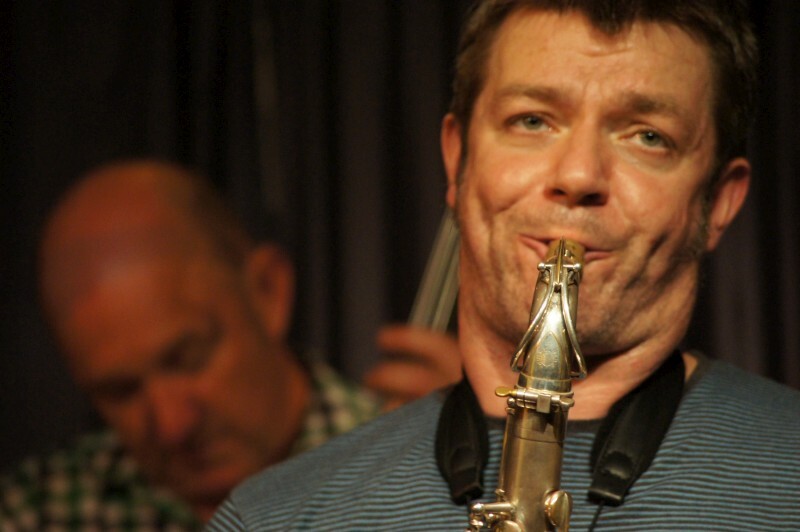 Ian Price was changed from the originally billed saxist, but he was a strong, ardent player who I enjoyed immensely. This is of a period and it’s a key era of unpretentious virtuosity and commitment. Hard, honest tone; imploring phrases resolved with sheets of colour playing on the edge of dissonance or descending into it. Then off to the side for a solo or fours. 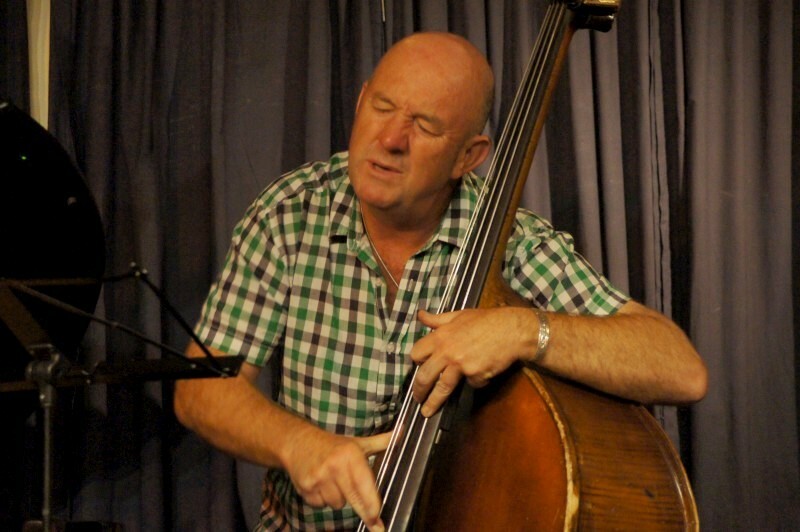 Pianist John Donaldson was a leader with Ian. His comping moved unobtrusively through the range with fourths harmonies. Then streams of notes in solos, a right hand of lengthy sequences moving up or down the keyboard. 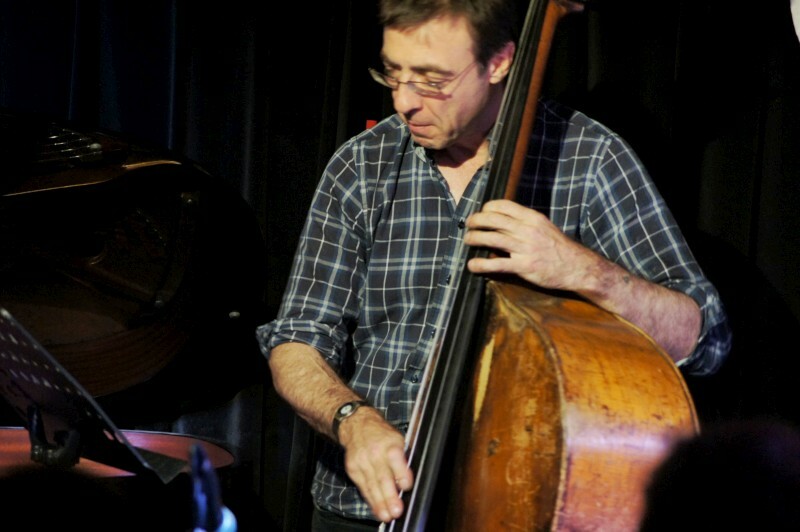 Bassist Nigel Thomas started all punctuated with lots of space but by the end of the night, with fevered walks at breakneck speeds. 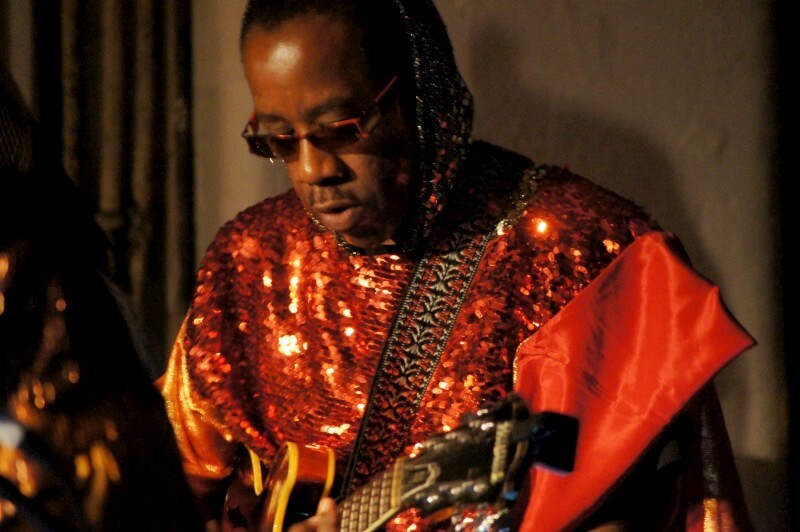 I enjoyed his solos of melodic lines and accompanying singing and again some breakout flourished fills. 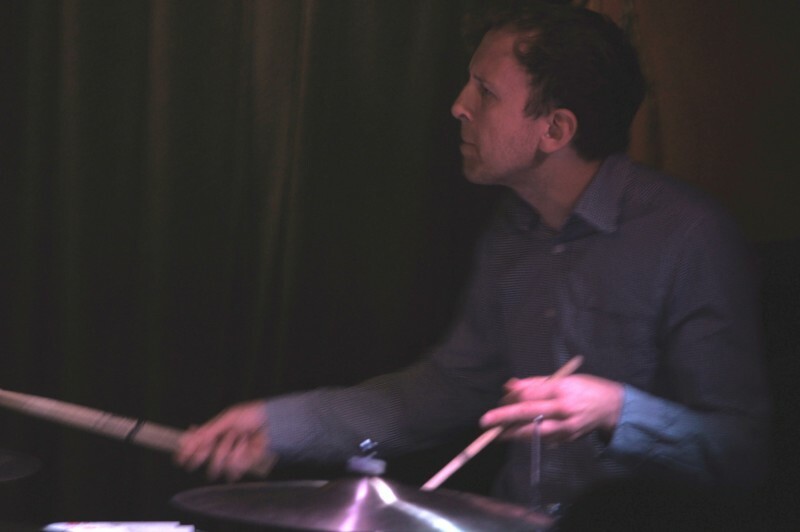 Drummer Spike Wells sat in the corner, often smiling when the temperature rose on piano or other, then taking solos that clearly spelt out the tune and structure. Explaining the contemporary in jazz, and hearing this post-bop and those recordings of a more swinging style was enlightening for me as well as our hosts. They enjoyed the gig and I hope I may have created some audience for more gigs at the Verdict. I enjoyed it for the unassuming but ecstatic blowing of post-bop. These guys were very capable. Just proof that’s there’s good jazz everywhere even if it’s obscure and, sadly, too often loved only by its mothers. Great little club; classic little audience; wonderful, hard blown jazz. 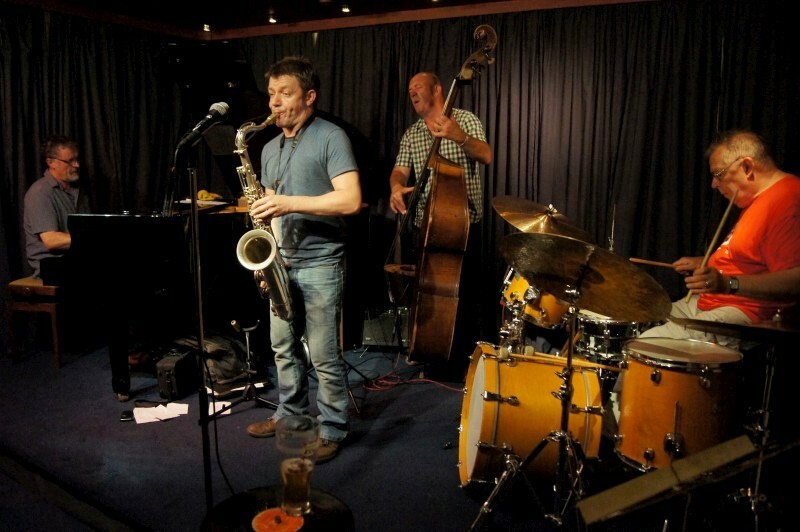 Ian Price (tenor sax), John Donaldson (piano), Nigel Thomas (bass) and Spike Wells (drums) played at the Verdict Jazz Club in Brighton. We were cocky about jet lag. It hit us at the Proms. Too bad, because we mostly missed a decent concert. It must have been a few drinks with dinner, but we were out of it. 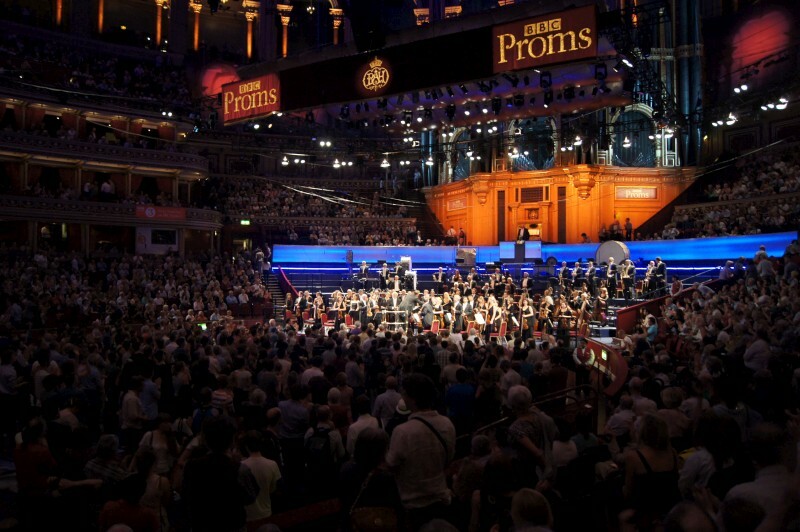 The Proms are an institution, of course. All very English in a delightful, unassuming way. This wasn’t the last night with its singing of stirring songs of empire: Jerusalem and Land of hope and glory and Rule Britannia. This was an idiosyncratically casual outing with artistic validity. 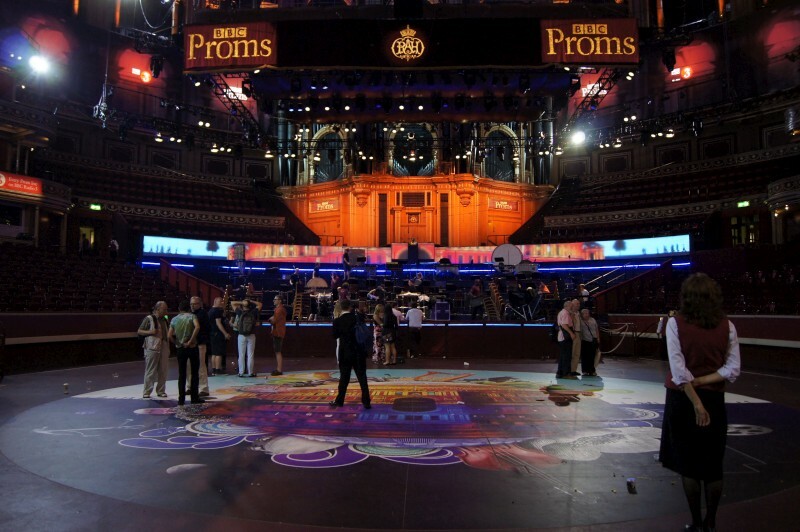 I learnt that Prom is a diminutive of promenade and refers to those standing in the dance floor area of Albert Hall. Albert Hall itself is now modern casual, its velveted tiers softened by green floating mushrooms under the grey cement of the dome above. Megan had dressed a little, but no need for that here. People were eating chips (crisps) in interval; no hoyty-toyty here, even if there’s some embrace of nerdity or even upper class twittery (cf Monty Python). These are people with a genuine enjoyment of cultivated music. Tonight’s works were a world premiere of Param Vir’s Cave of luminous mind which was all shivering or ever ascending strings with overlaid snippets of melody and tonality from all instruments. As I remember, the second movement featured a conversation between violin and viola (?) and the third blossomed with ideas all falling over themselves. Very filmic and presumably very hard to read. I liked this one. Then a much more romantic Sibelius Violin concerto in D minor played by Lisa Batiashvili. This seemed much less folky and Scandinavial that I’d expected from Sibelius. She played an encore of violin accompanied by strings and sounding very Russian. After interval, we heard the Celtic Symphony by Bantock with 6 harps and sounding more of rural vistas and lyricism. Then, to end, Elgar’s Enigma variations, an old standard and an apt composer for the Proms. We were nodding off throughout the concert, but it was a joy and a piece of core-Englishness of the times. 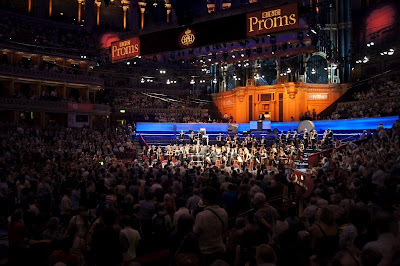 There are masses of these Proms concerts and they are hugely popular. It’s summer when the Proms are out and about and there’s not a London Phil concert in sight. Worthy and relaxed. 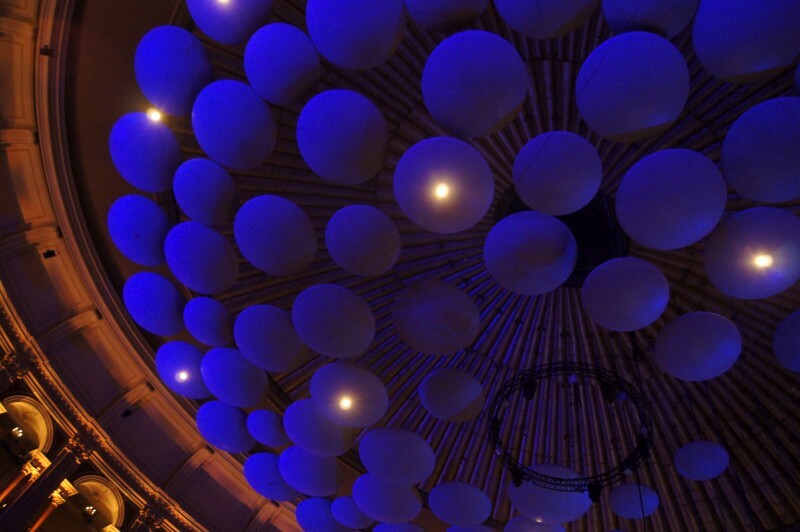 The BBC Symphony Orchestra was conducted by Sakari Oramo at the Albert Hall in Prom 52. Lisa Batiashvili (violin) soloed in Sibelius Violin concerto in D minor, Other works were Param Vir Cave of luminous mind, Granville Bantock Celtic Symphony for six harps and strings and Elgar Enigma variations. The V&A was a filler for the day. 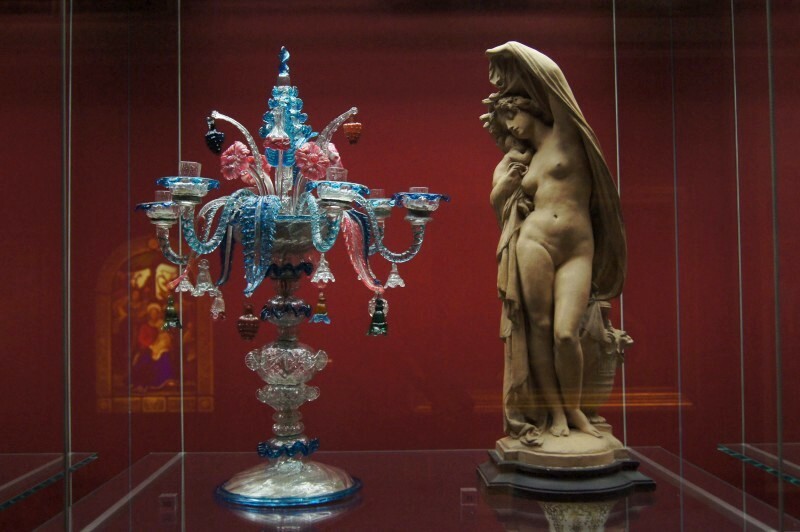 It’s a museum of decorative arts. It’s not a field I know well, but I’ve visited a few of these museums recently and they are delightful. 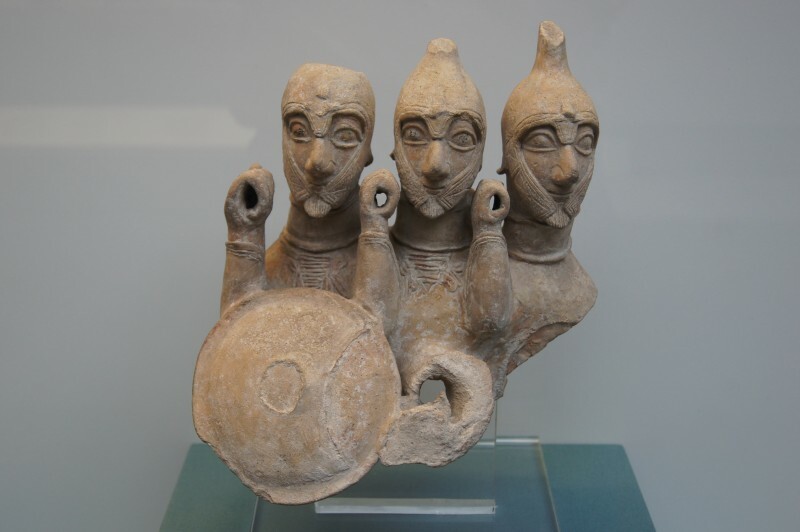 These are the arts that we live with, traditionally demeaned as women’s business but close and immediate and varied in techniques and styles. I’m too busy to mention much here. The foyer features a huge Chihuly sculpture of gentle yellow and blue hanging over the info desk. 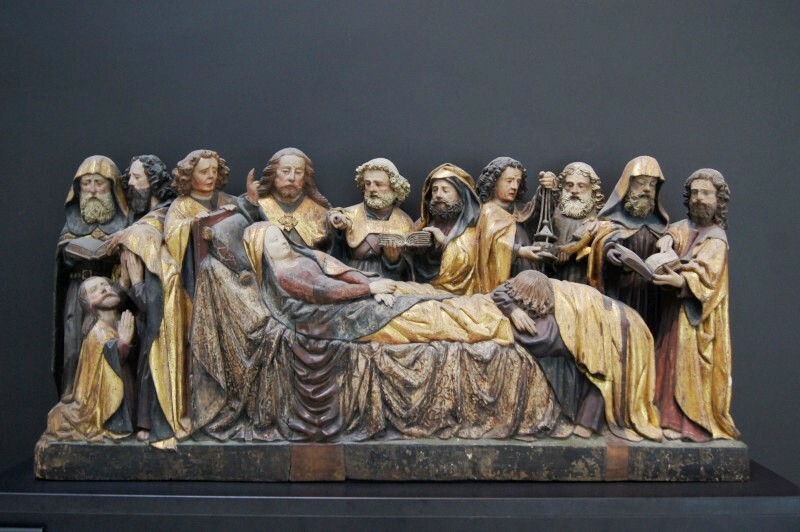 A room of Italian religious art is off to the right and it drew me in. 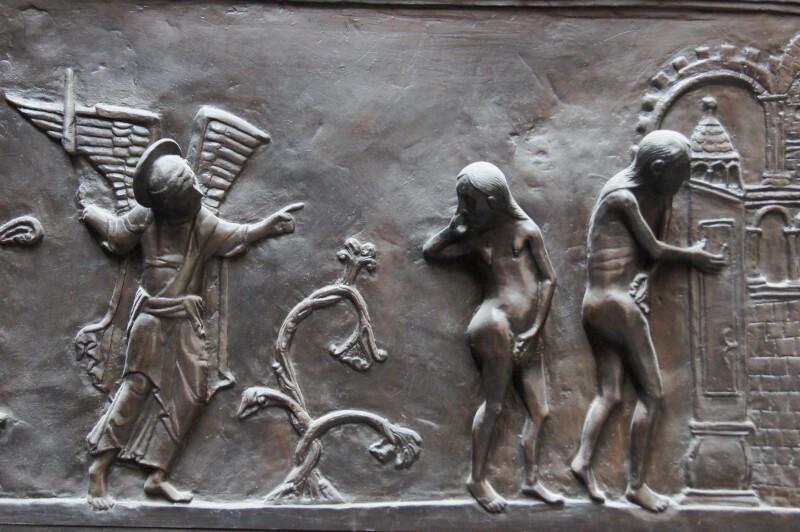 I melted over a Perugino next to a della Robbia scene. 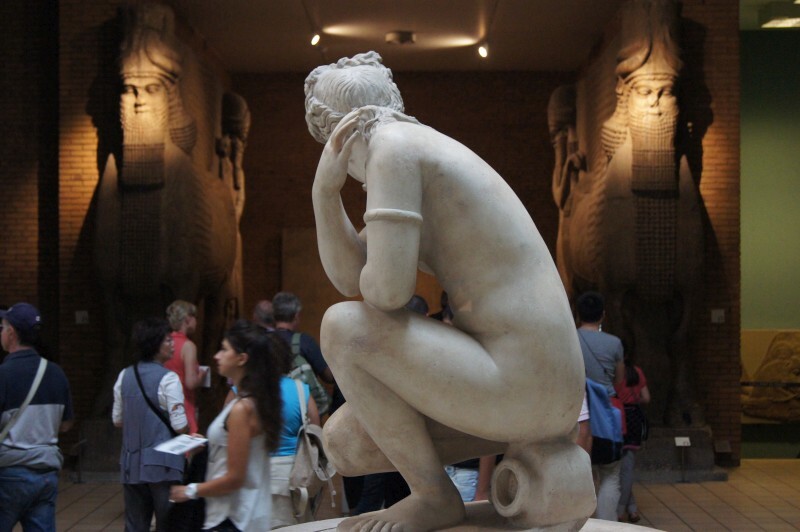 The intriguingly Victorian Casts room is a junkyard of massive plaster casts of Trajan’s column and the like. The Raphael room has full sized paper drawings for hanging curtains for the Sistine Chapel. It’s so dark but these are artistic gems if you can make them out. 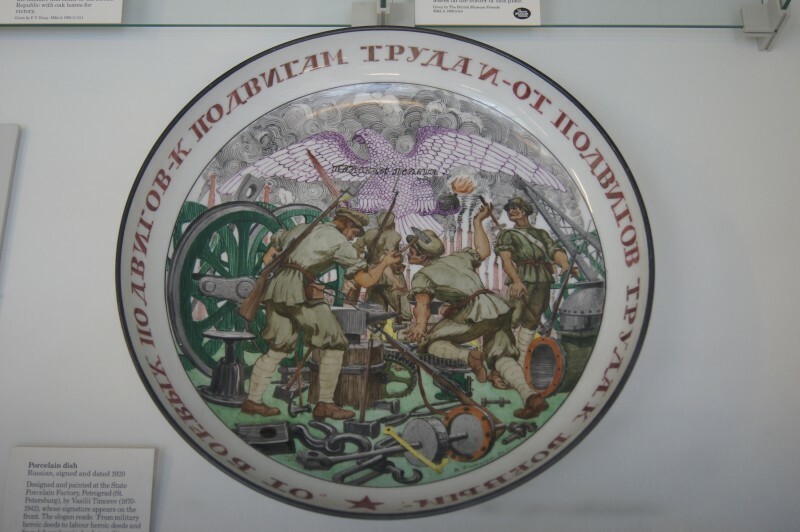 There are rooms dedicated to ironwork, jewellery (two levels of the most gorgeous pieces from old times to now), painting, silverware (massive and overwhelming), miniatures (magnifying glasses provided), photography, even theatre and performance props and more. Again, you could touch. 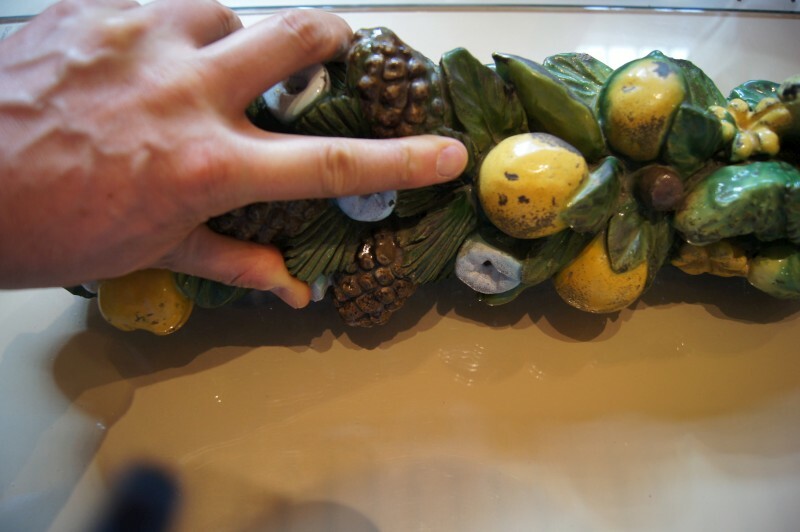 My favourite was a slab of rich blue and green fruits and leaves, reputedly from Andrea della Robbia. 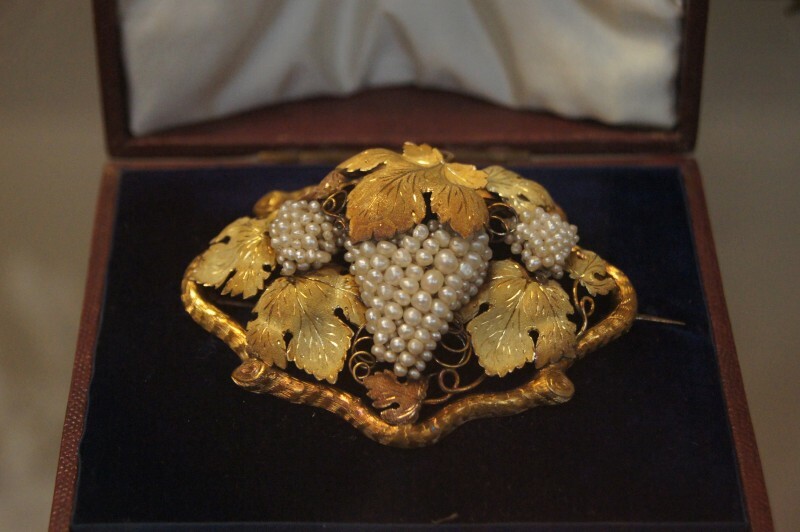 The jewellery room was a wonder (have I said that?). 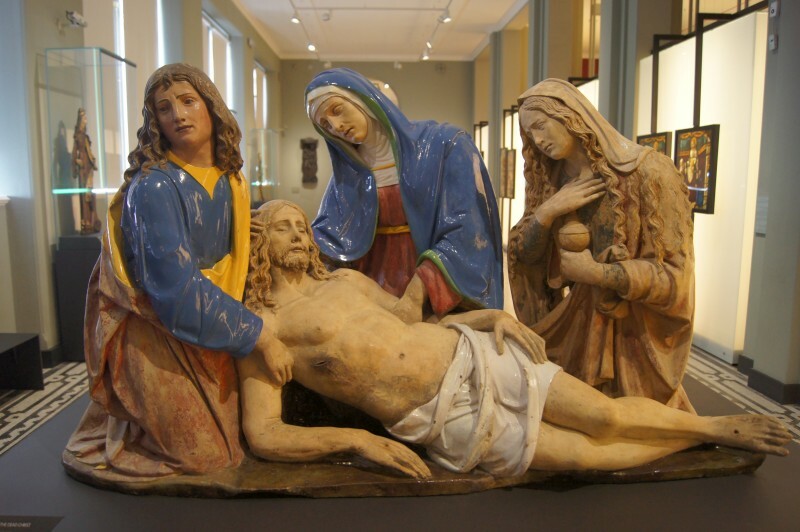 I was stunned to turn a corner on to a stunning della Robbia deposition of Christ in the religious statuary. I was intrigued by clock mechanisms amongst the metalwork. 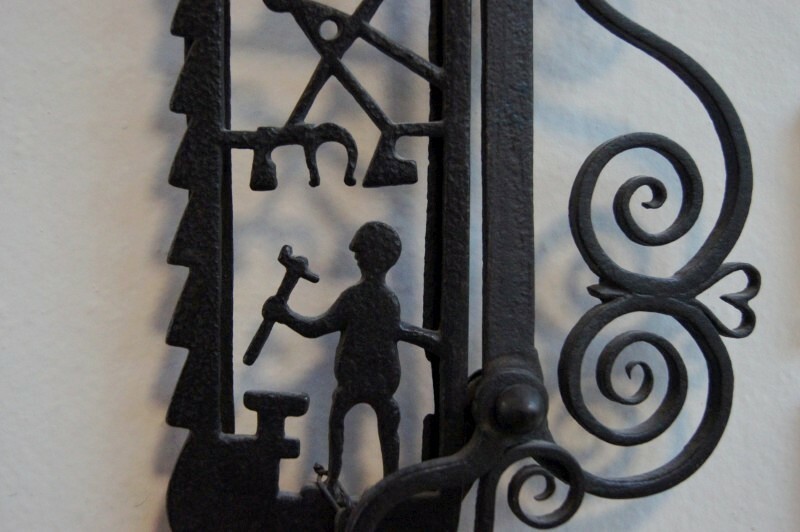 I met the man who dusts the cast ironwork (wrought iron always looks dusty in real life, so this was strangely clean). This was just a filler in time before another Albertian outing, but also much more. Truly not just one for the grrrls. Another great museum. Here are a few pics of favourites. 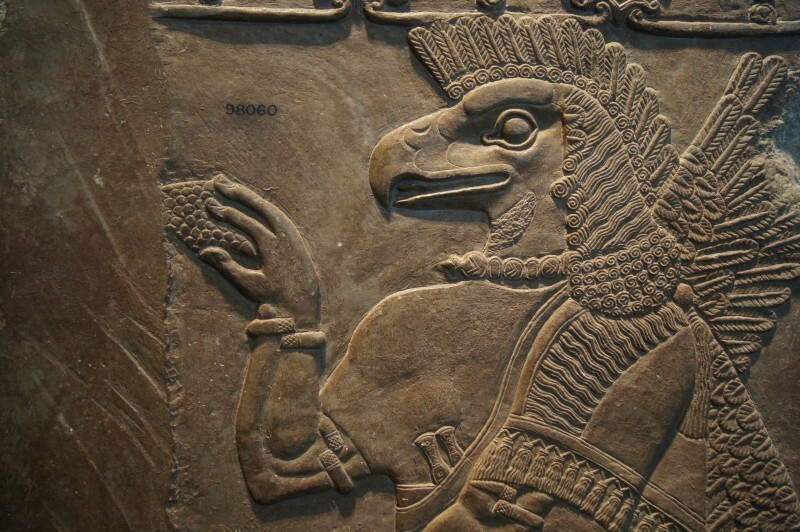 The British Museum is one of the greats. The weather was good and the entry is free so the tourists were numerous, but even so this was no disappointment. It’s big. 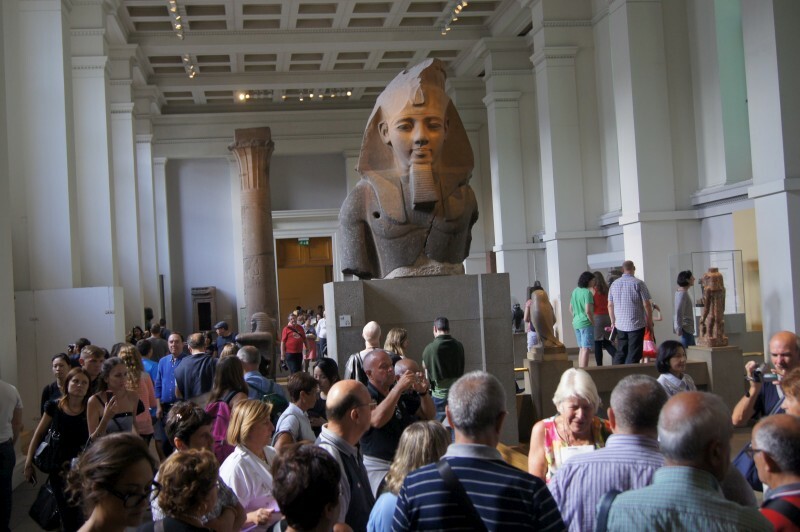 It’s always busy, but keep away from the Egyptian wing and it’s perfectly OK, even in the height of tourist season. After several visits of the years, I’m starting to feel acquainted with it. I remember key pieces and vistas and I can bypass the obvious stars and make personal discoveries. And I can touch. I remember, perhaps 10 years back, a table in the foyer where you could handle items. Just five items, with an explainer to oversee and describe. I found four tables this time. 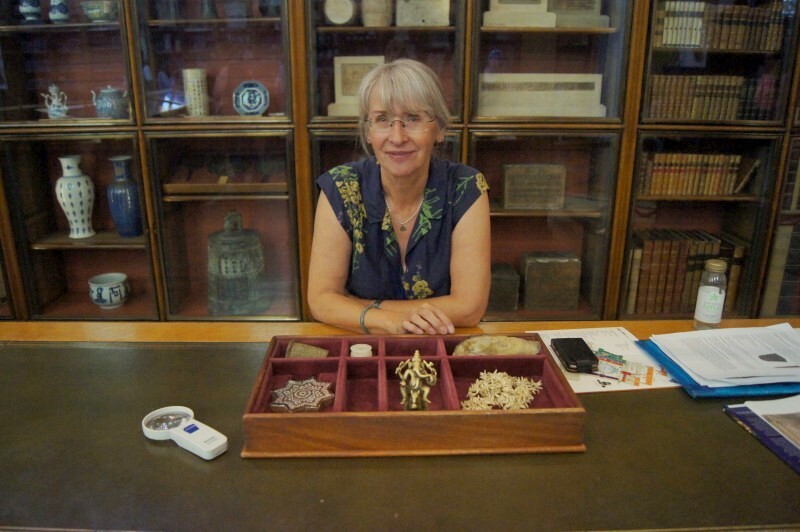 I handled Roman statues and Neanderthal stone tools and cuneiform clay tablets and guessed at the composition of glass beads and the purpose of T-shaped metal purse holders and investigated dolphin tooth necklaces and bronze Ganeshes. 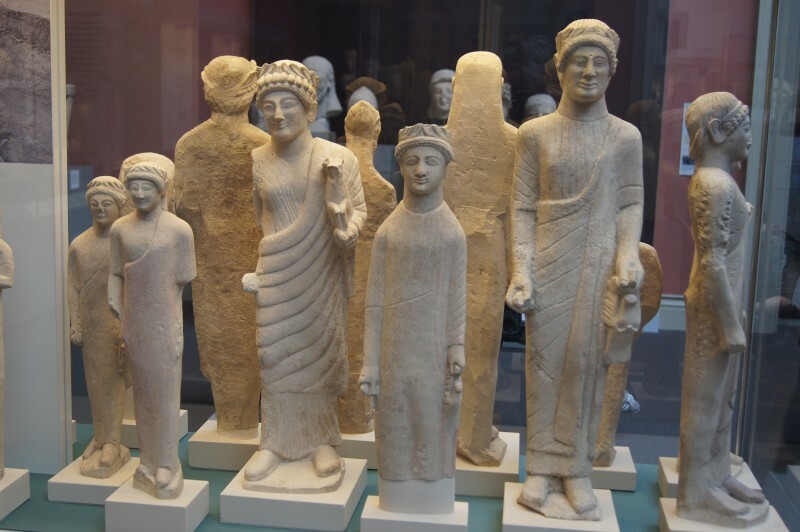 This is a museum of peoples. 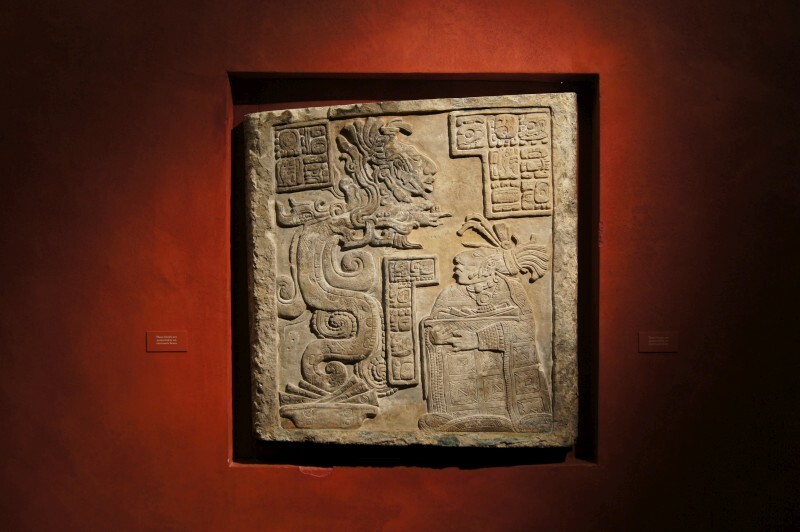 Being a great museum of a great period of scientific discovery, the objects are great. 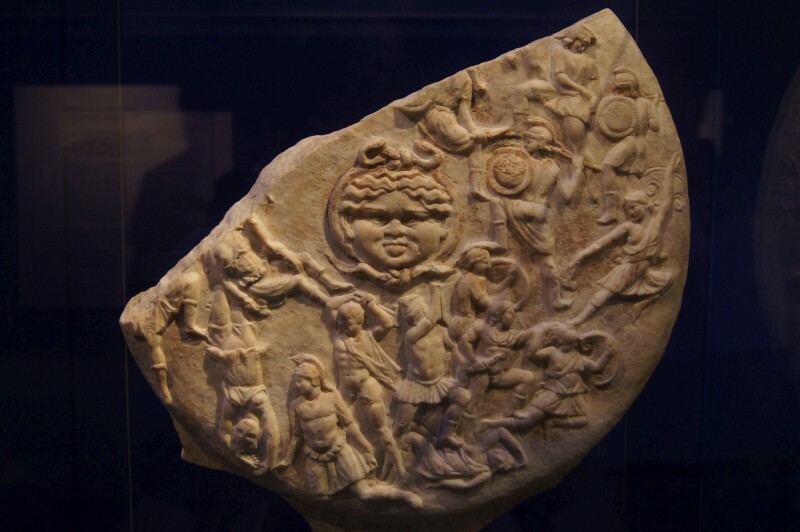 Lots of oldest known this, or revelatory item that and important enough that items have names. 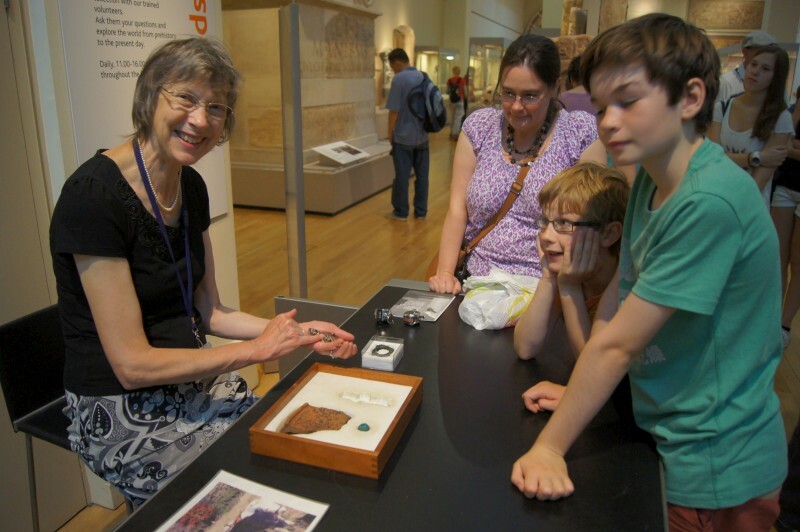 One unvisited corner had the oldest object in the Museum, 1.8m year old stone tool from the Olduvai Gorge, with the oldest known statue of love making, a small carved stone piece only 11K years old from Judea. 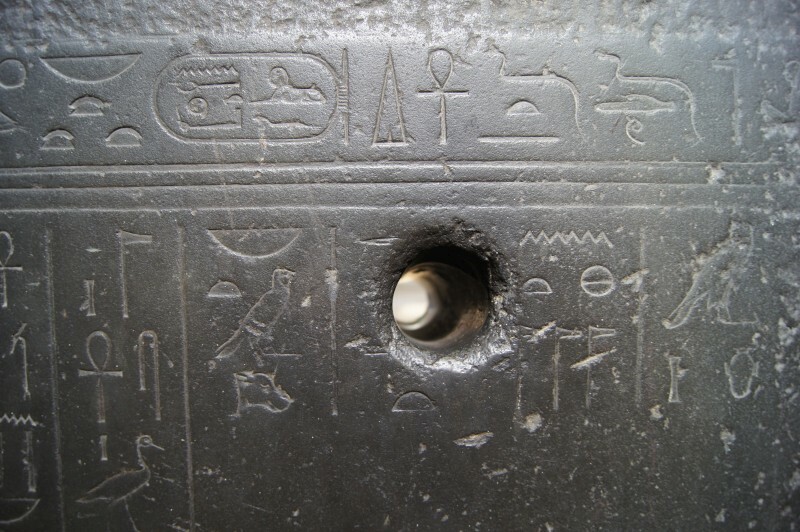 I mostly bypassed the Rosetta stone and Egyptian galleries. 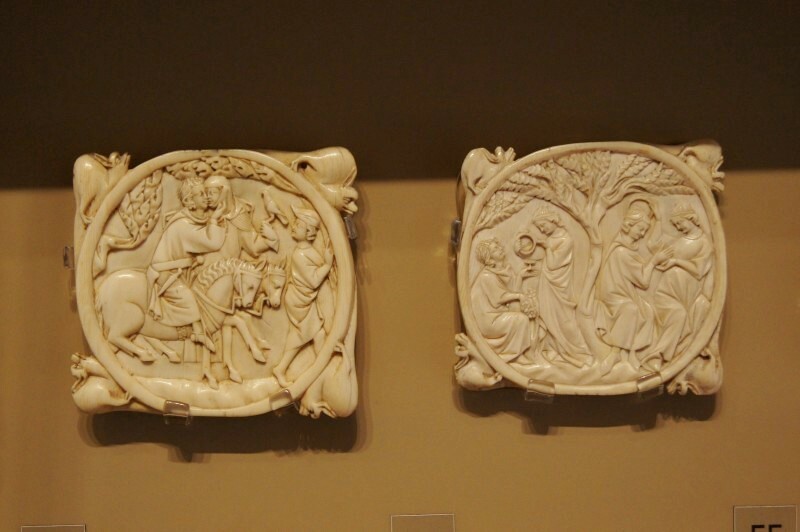 They are stunning but it’s like Bourke Street in there and I found the Assyrian panels too warlike for my pleasure on the day. 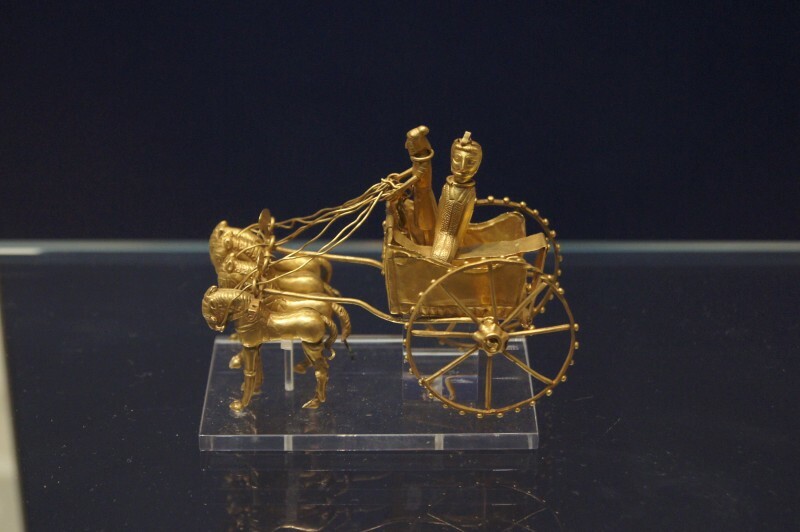 I delighted over a key cuneiform cylinder of King Cyrus and the little glowing gold Oxus charioteer. 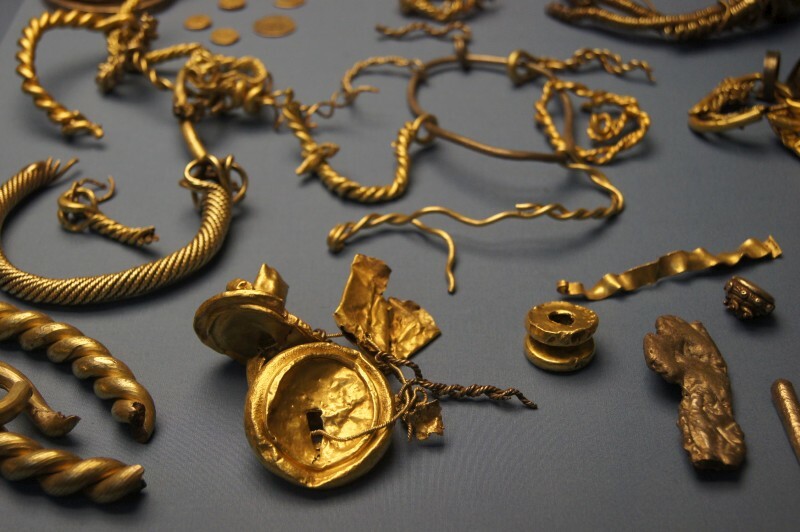 There’s gold aplenty with undimmed brilliance as well as silver, iron, stone and softer things like fabrics and bone. There’s humour: old men or soldiers arm in arm. 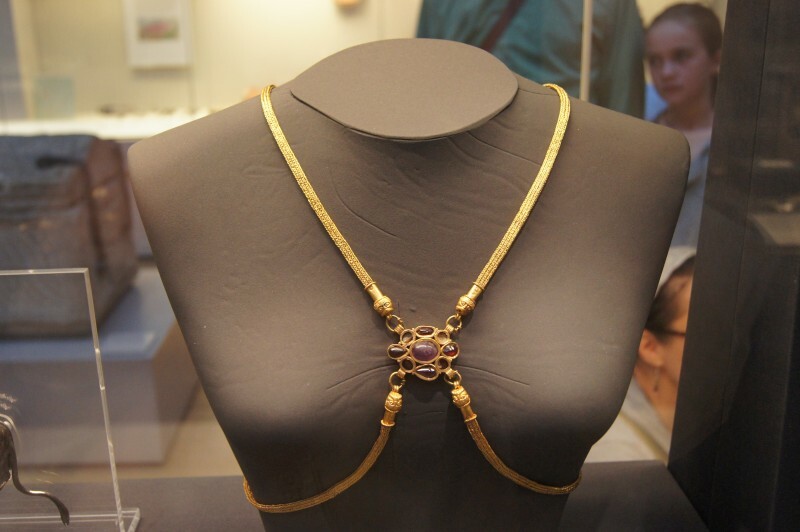 There’s women’s work and experience and voluptuousness and jewellery (excuse the sense of the other, but this is history). 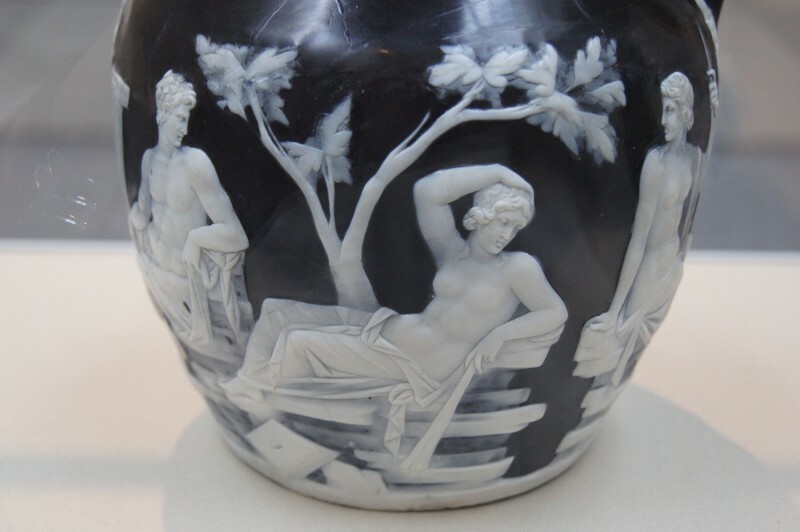 There are patterns through history, like the Roman cameo vase that influenced Wedgewood. 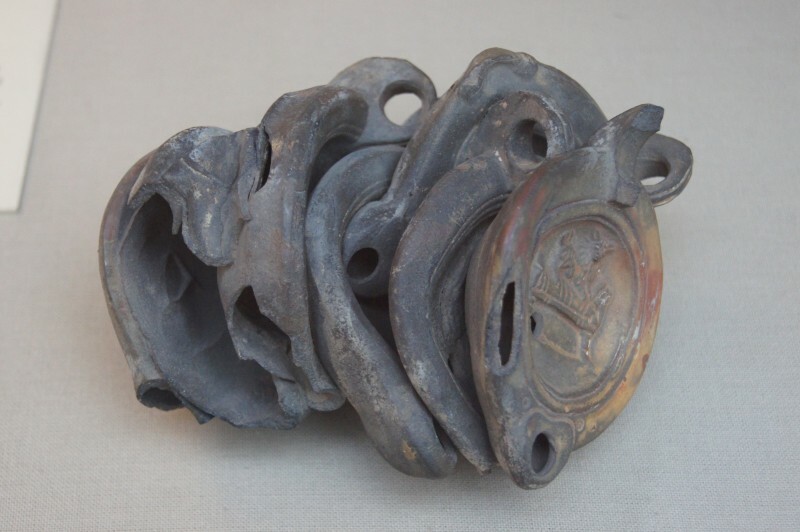 There are failures, like the 7 fused Roman oil lamps. This is resplendent culture and humanity. A place like this needs a stay of months for frequent revisits. Perhaps some time. 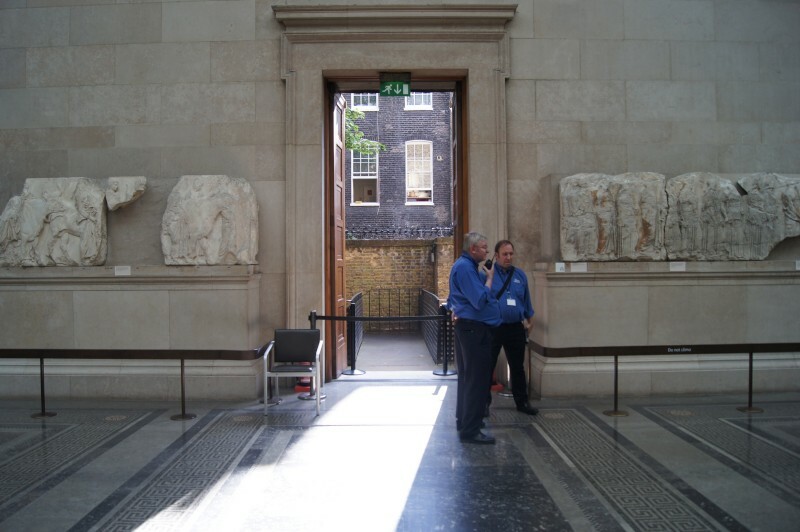 The British Museum is just a must.